Situated alongside Hallamore Lake, only 25 minutes east of Clearwater BC, the gateway to Wells Gray Provincial Park, Alpine Meadows Resort provides an authentic BC-style vacation. 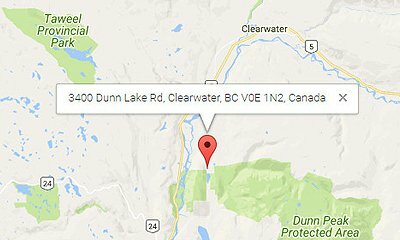 Looking for the ideal Clearwater BC cabin rental? Choose from one of 29 architecturally-designed log cabins. Or come see what’s under the stars, and camp in style in your RV or one of our enchanting glamping tents. It’s an easy vacation destination. Our Clearwater BC accommodations provide you with everything you need. Alpine Meadows’ full-service chalet, RV, and glamping resort features all of the high-end comforts you expect from your vacation, nestled amidst the beauty of British Columbia nature. It’s our Nature, it’s all around. Choose from a fine selection of custom-designed suites and chalets. Clearwater Resort accommodations in Beautiful BC. Our West Coast-inspired cuisine, prepared fresh, daily, takes advantage of excellent ingredients from local growers, producers, and BC wineries.